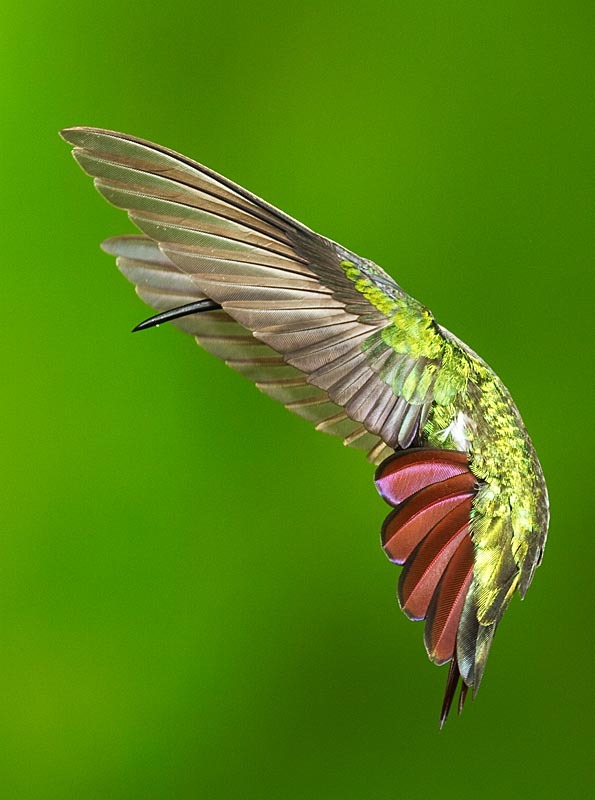 My image of a Green-breasted Mango was selected as Grand Prize Winner of the Audubon Magazine Birds In Focus photography contest. It was selected from the 8,000 entries in this year’s competition. The image is one of the thousands of images I captured during my trip to Costa Rica in March 2010. You can find the announcement of the winners at Audubon Magazine. Another of my entries was selected as one of the Top 100 images of the contest and can be seen here. Rather than tell you which one is mine, I’ll leave it to you to explore all of these wonderful images. After you see these images, you’ll understand how honored I am that my image was selected from among those images. Dennis, when I saw this image, along with a few others I think I told you they were different from your other hummingbird photographs. I even tried putting this on your banner if you remember with a bit of a “twist”. I am no bird photographer, but I know a good photograph when I see one. These are excellent photographs. Congratulations again. This is an amazing capture.. Very beautiful and an inspiration to keep shooting birds.. This was my first year of enteries and this shot is just gorgeous..!! Congratulations..! I just saw your Grand Prize hummingbird photo in Nature’s Best magazine. CONGRATULATIONS!!! Great capture with wonderful smooth background. That’s a huge honor. Keep up the good work. It’s even more amazing when comparing the top 100 images of the contest on the Audubon site. I may have picked one of the others if I were judging. There are certainly images I wish I had captured. Incredible photo! All of the photos were great and I am glad that I was not one of the judges as it would have been very difficult to pick a winner. Your photo though is beautifully captured! Well done! I just saw your amazing photo on the wall of the Audubon’s Facebook. Wow! May I ask, what camera did you use? What were your settings? I am very inspired to keep practicing different captures of Hummingbirds from great photographers such as yourself. Thank you for sharing! I use three Canon 550EX flashes and one 420EZ flash which has a Ikelite trigger attached. The 550EXs are triggered by the Canon 7D built-in remote flash controller, similar to the ST-E2. The 420 detects the flash of one of the 550s and triggers from that. The 420EZ in lighting the background, two 550s are on each side of the bird and one is either placed behind as a “hair light” or sometimes placed in front higher or lower than one of the other flashes. The Canon 7D manual mode settings are ISO 400 or 500, f/16 tp f/20, and always 1/200 sec exposure time. This set up is typical, but depending on the situation, the lights may be moved around a bit. It’s the short duration of the flash that captures the wing movement, and the flashes are usually set to 1/8 or 1/16 power to make the flash duration on the order of 1/10,000 second.